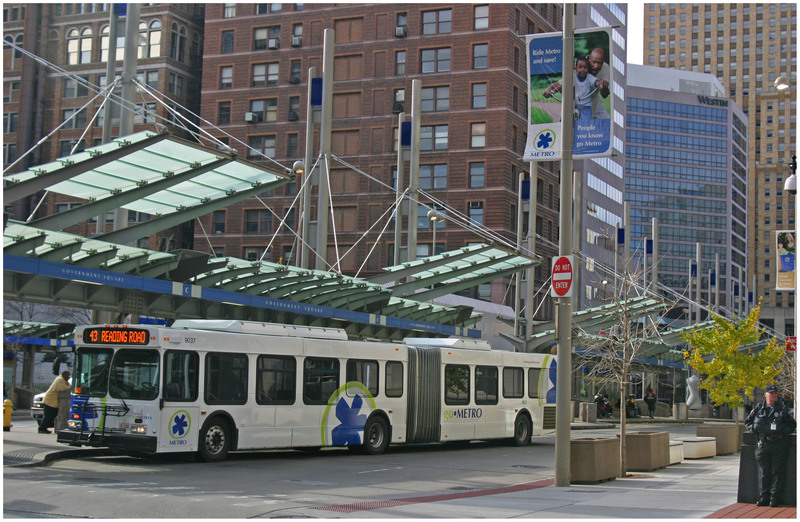 The Southwest Ohio Regional Transit Authority (SORTA) saw ridership on Metro bus service increase by approximately 200,000 riders in 2012. SORTA officials say that the 4.2% increase is due in large part to a greater number of students from the University of Cincinnati and Cincinnati State taking advantage of a new student pass program instituted by Metro last year. Metro officials say that there was a 24% increase in ridership at the University of Cincinnati, and a 19% increase at Cincinnati State when compared to their previous years. As a result, the regional transit agency provided nearly 17.6 million rides and outpaced the 2.6% ridership increase experienced elsewhere throughout the United States, according to the American Public Transportation Association (APTA). Metro had provided around 20 million rides annually in the early 2000s until large-scale service reductions took effect when the national economy struggled. “We’re focused on providing a great customer experience and are seeing positive results from improvements we’ve been making for our customers,” Metro’s CEO Terry Garcia Crews stated in a prepared release. Metro also saw ridership gains along the 38X route running from the new Glenway Crossing Transit Hub to Uptown. This route experienced an 18% ridership increase when comparing data from December 2012 to December 2011 when the new west side transit hub opened. One of the new additions riders can expect at the Glenway Crossing Transit Hub in 2013 is expanded crosstown service via Route 41. Metro officials say the service modification will be included in a new system plan to be released this spring, and will extend the existing Route 41 to North Bend Road to the new Mercy West Hospital, and connect through Cheviot and Westwood to the west side transit center. Dunne also says that Metro*Plus limited stop service, previously discussed as Cincinnati’s version of bus rapid transit, will begin operating between Downtown, Uptown and Kenwood via Montgomery Road. In addition to the physical improvements to the region’s bus system, Metro officials also believe that the agency’s new electronic fare payment system is making the system more attractive to new and existing riders. One of the new options riders might be able to expect in 2013 is a smart card that allows for stored values, in addition to the 30-day rolling pass and 10-ride ticket. Perhaps one of the most welcome pieces of news for existing Metro riders, however, is that SORTA does not anticipate any service reductions or fare increases in 2013. We discussed bus rapid transit on episode one of The UrbanCincy Podcast with a city planner from Bogota, Colombia, and on episode two we discussed the problem of transportation poverty in the Cincinnati region, including the lack of service to the new Mercy West Hospital. You can stream our podcasts online or subscribe to our bi-weekly podcast on iTunes for free. Next articleCould Queensgate become an American hub for advanced manufacturing?